I worked with Uncommon Goods for this post, collaborating on some decorating ideas and also working with them on their newest campaign, Better to give program. Since it was started 12 years ago they have donated over $1 million to charities around the world! This year they have partnered with 4 amazing charities, when you purchase anything from Uncommon goods you will have a chance to choose from 4 charities that Uncommon goods will make the donation to. You shop and help out, which is pretty amazing! I like to shop, and I like to help out, so it is a happy partnership! Because I worked with them, I was able to select from one of the charities and Uncommon Goods donated money to that charity in my name. The one I chose to support was American Forests which works to help keep our forests healthy and plants trees. The other three options are RAINN which is a anti-sexual violence organization giving support to victims, educating the public and public policy improvement. International rescue committee, that works tirelessly to rescue and support refugees to improve their life and health. Lastly, Reach out and read that encourages children having access to books and improving literacy. All of them are amazing causes each with their own team of heroes working to make this world a better place. I love to see brands working with programs like these, to try to make a drop in the bucket of what needs to be done. Check out the non-profit organizations and find out which one speaks to you when it comes time for you to select your choice of charity with your purchases! Since this is also a home decor blog, I am ready to talk home decor now! Now, lets get back to these nature inspired elements! 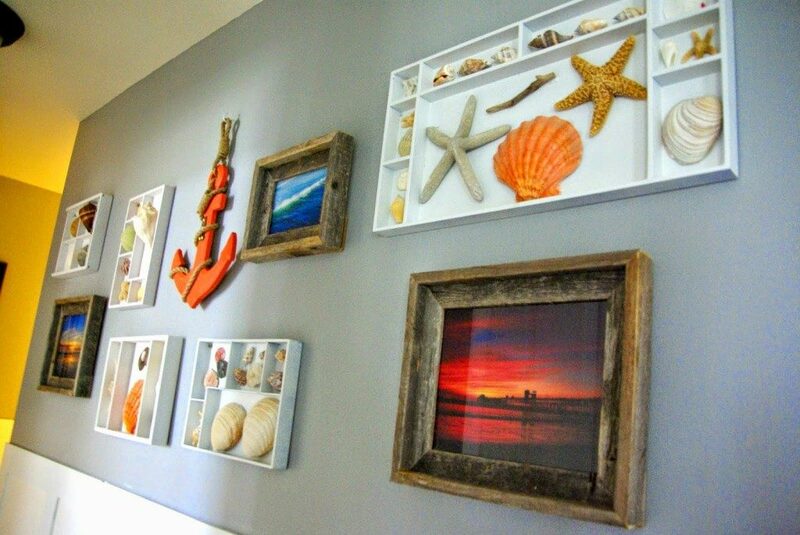 The way to incorporate them into a coastal styled home like mine is with shells. I created this gallery wall using pictures from my home town in Southern California and the many shells I have collected. 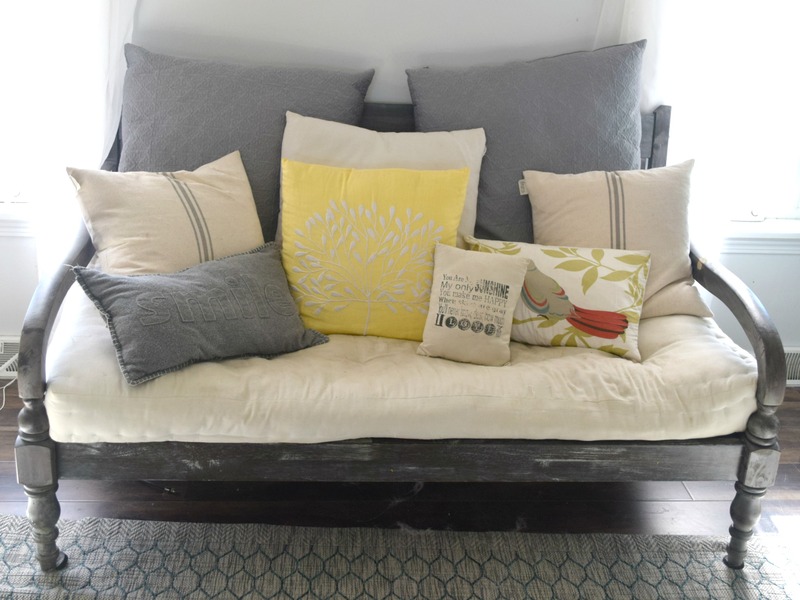 If coastal decor is not really your go-to style, adding simple wood elements is amazing! I get most of my wood from a local barn that sells wood, or from wood pallets. 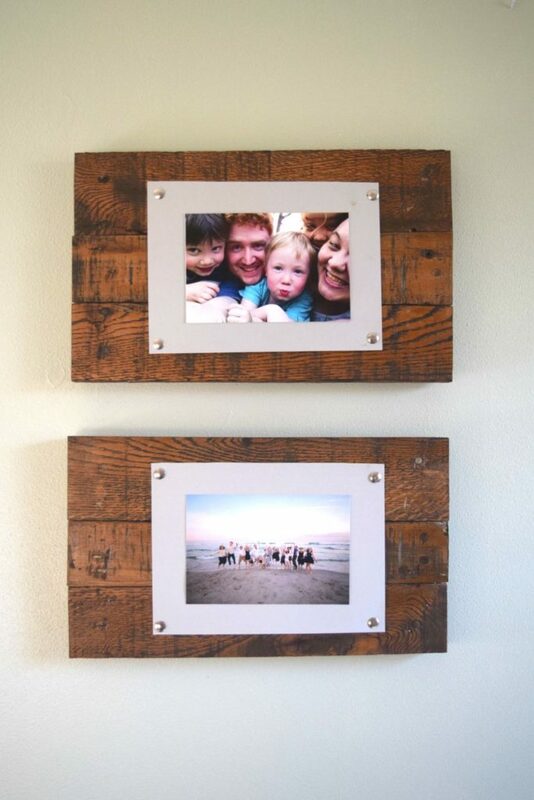 This picture frame gives off such a warm and rustic touch to a home. The biggest project I have done with a nature element is this console table. It was rough looking, had an uneven edge to it, but it was a true beauty when I found it in the barn sale I mentioned earlier. This picture also shows another small idea to use nature, rocks! I fill hurricanes with rocks all the time. It adds a great texture to a table or setting. But most importantly…. 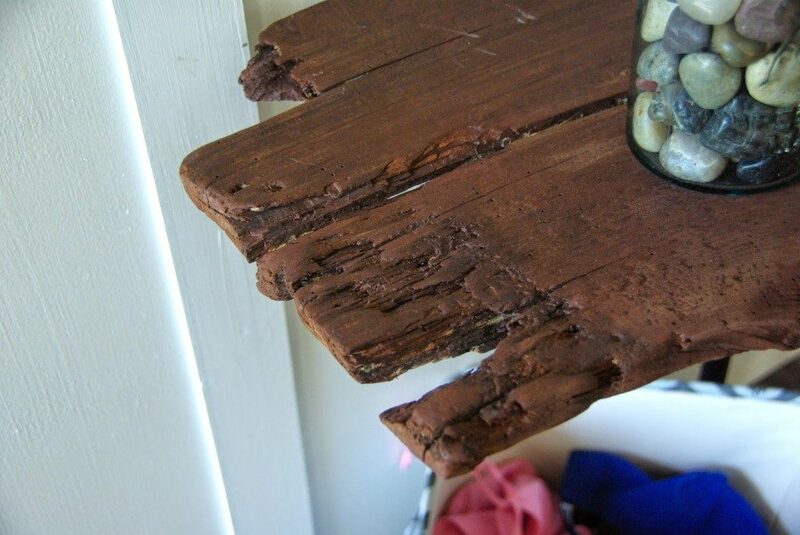 look at the rustic and un-done edge to the table! I left it as is and am so tickled with the results, still, years later. If you are not wanting to bring nature literally into your home there is a few great options to have a “faux” nature feel. 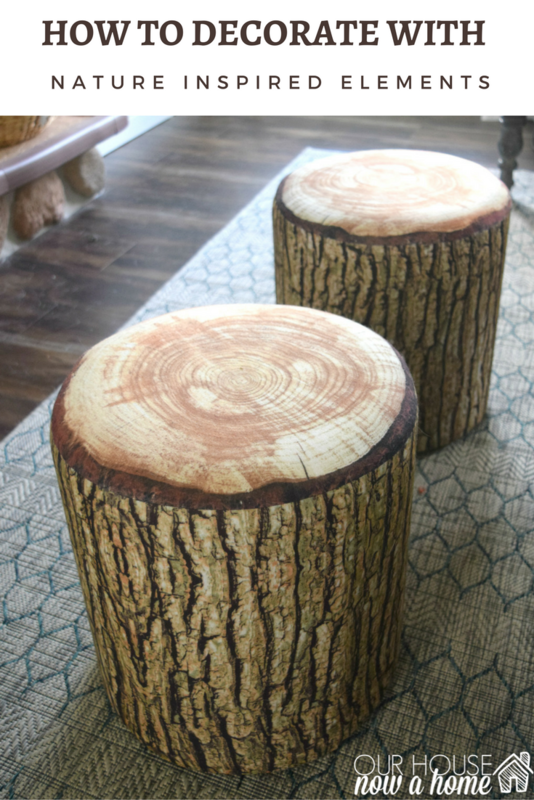 Like these tree trunk stools from Uncommon goods. They are actually all soft, the tree texture is simply fabric. My in-laws came over and saw a picture of my kids IO posted on Facebook with these stools in the shot, and my in-laws were in a heated debate on if I actually cut down a tree or something for these stools. They look that real! 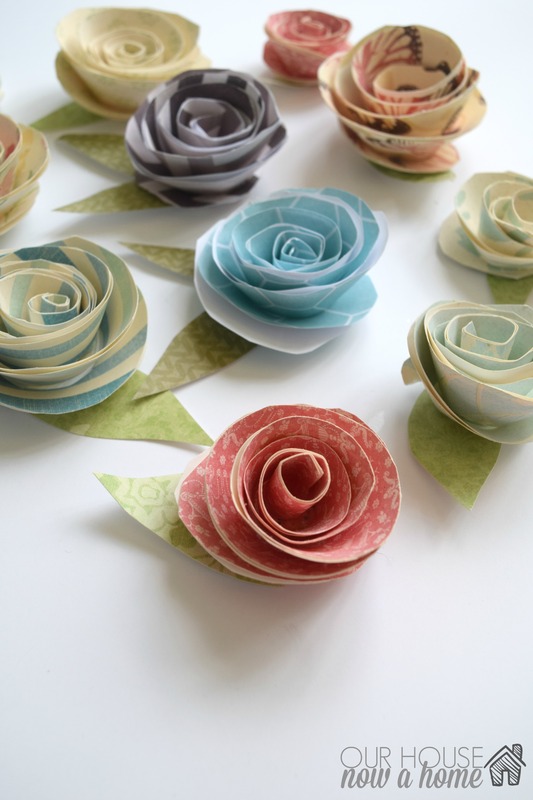 These paper flowers I made are another great way to bring a little piece of nature in the home, without cutting the flowers. Granted, it is a whimsical and not very realistic looking touch, but it still brightens up the home just the same. 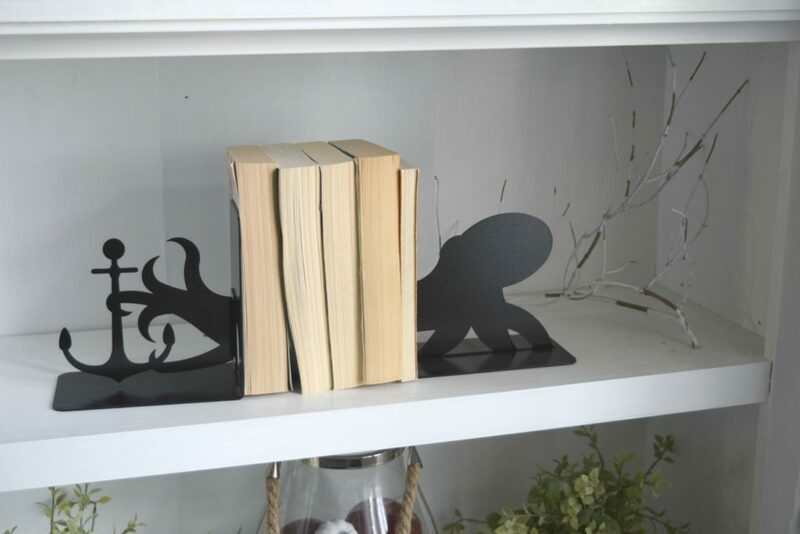 Here is another new piece from Uncommon goods, this octopus book end. 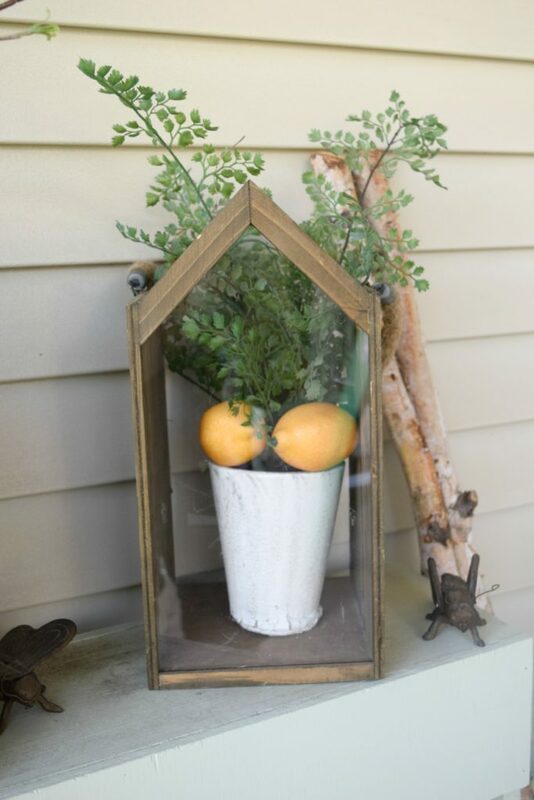 This is a fun way to add nature into the home, animals! Or in this case a sea creature. I fell in love with this little guy and knew it had to be in my home in all it’s coastal glory! 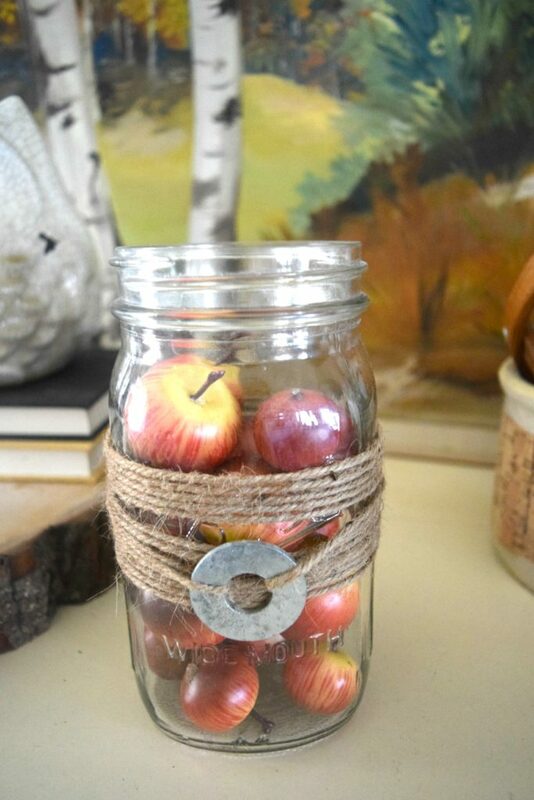 Apples, oranges, pumpkins in fall… all of them are such a simple way to incorporate nature into your home. 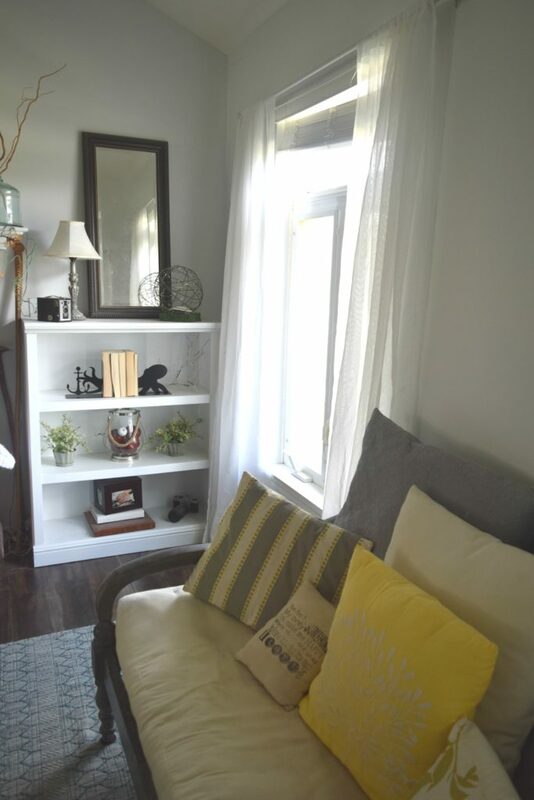 Adding in greenery and even nature themed throw pillows. 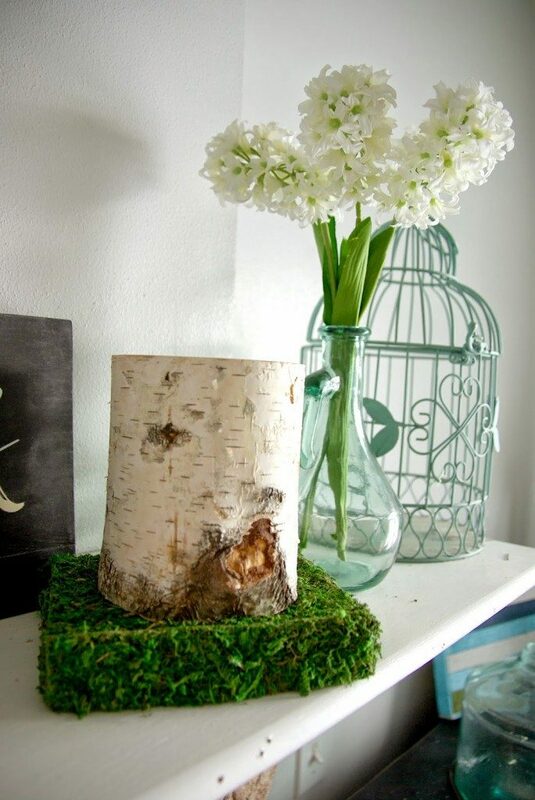 These are subtle ways to add nature themed elements without going completely obvious and having a barn wood table. Sometimes subtle is the way to go. Many moons ago I made these little moss squares, it was in the early blogging days. I still swap these out and put them around my home quite often. They add a great pop of green and such a fun texture to the space. Or you know, go super obvious and use lemons! In this picture I have lemons, greenery and sticks. All simple ways to bring in the natural elements. I adore having things like this in my home. I tend to decorate in cooler tones of gray and blue, which are beautiful but can feel stark at times. Adding all of this nature, real or not still warms up my home so much! Tree trunks, you can never go wrong with a few of these on hand. Sticks, also actual, legitimate sticks. I had a bush that had died in my back yard. Before we cut it down I took a bunch of the sticks, they were so beautiful and wound in a way I knew I could use in my home. I have incorporated these in my home all year long. They work from Spring into Winter. Pause for a cute kid reading on the new stools! 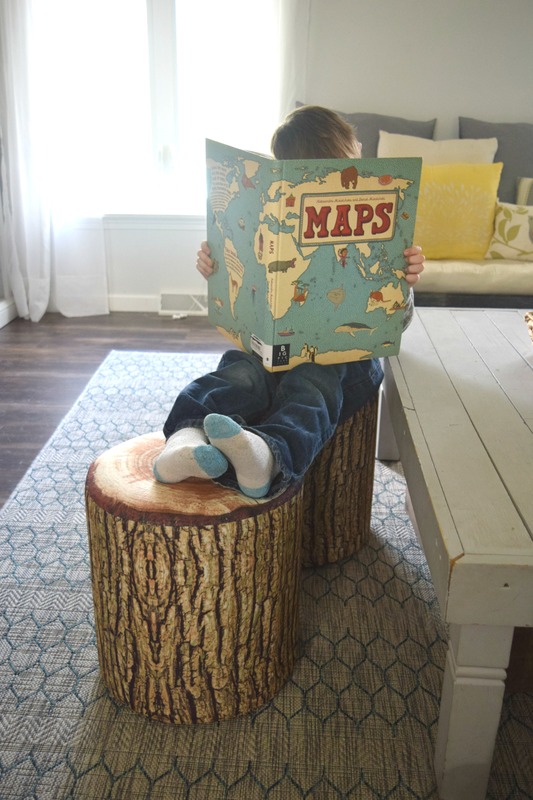 These tree trunk stools are so unique and are a big hit in my home, they are light weight enough for my little ones to move around the living room. Which they do all-the-time! Uncommon Goods is an amazing brand that I am so proud to have partnered with! In doing some research on them I discovered that they are committed to, being part of the B Corporations which uses the power of business to solve social and environmental problems. Their priority is to improve wage levels, environmental impact and give back to the community. This is a brand I can stand by, knowing my support of purchasing items from them will do more than line the pockets of already wealthy individuals. On a completely home decor stand point, they have the cutest and most unique items for sale I have seen! It makes me feel like I am shopping a tiny local market, but have the convenience of seeing many items and being in my pajamas. 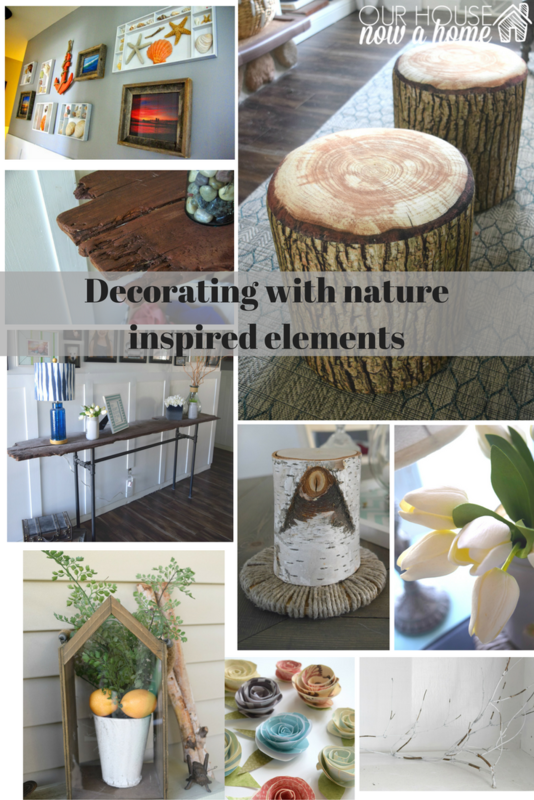 How to decorate with nature inspired elements is probably something I could go on and on about! I incorporate so much of it into my home, I only shared a portion of the decor. I wanted to keep it with general seasons, but once I throw in some fall decor or Christmas decor the nature elements really start taking off. As I said, these ideas really warm up a space, ground the cooler tones, and can be done with keeping a lower budget in mind. Most can be created from actual things in your back yard, letting you use that money on a few larger pieces to finish up the look. On a personal note, we are entering a fun season of the year with family time, and holidays. I always try to focus on this time as a time of giving and reflection of how blessed I am. I am so honored to be a small part in bringing great causes to the forefront and giving to some much deserved organizations! Do you use nature elements in your home? Wow there are some great pieces here. Love the logs as a seat that was brilliant. Oh my goodness, such great inspiration. I love the moss squares. I may have to make some. I love adding greenery to my decor. The tree trunk stools are amazing! Thanks! The moss squares were really easy to make, I use them all the time as decor. 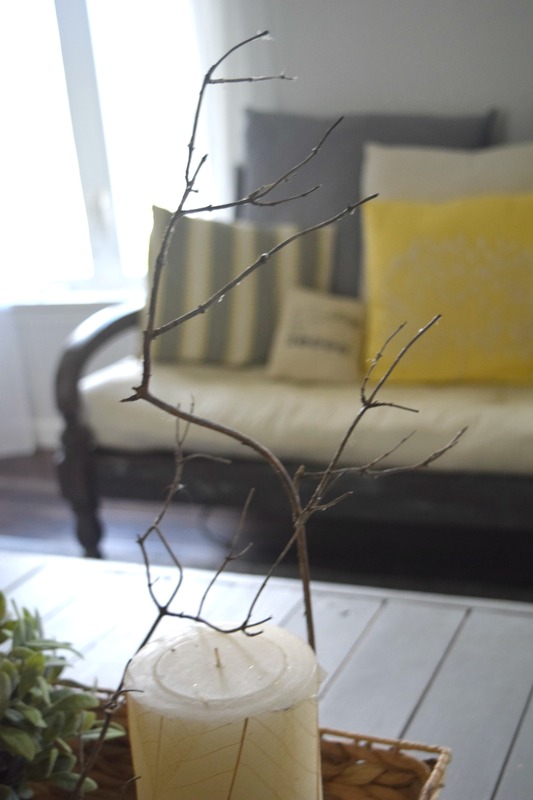 I absolutely love all of these natural decorating ideas! Such great inspiration! Those tree trunk stools are great. Loving all these ideas for bring nature indoors. Thank you! I am really happy with the tree trunk stools! I love all of the natural elements in your home. 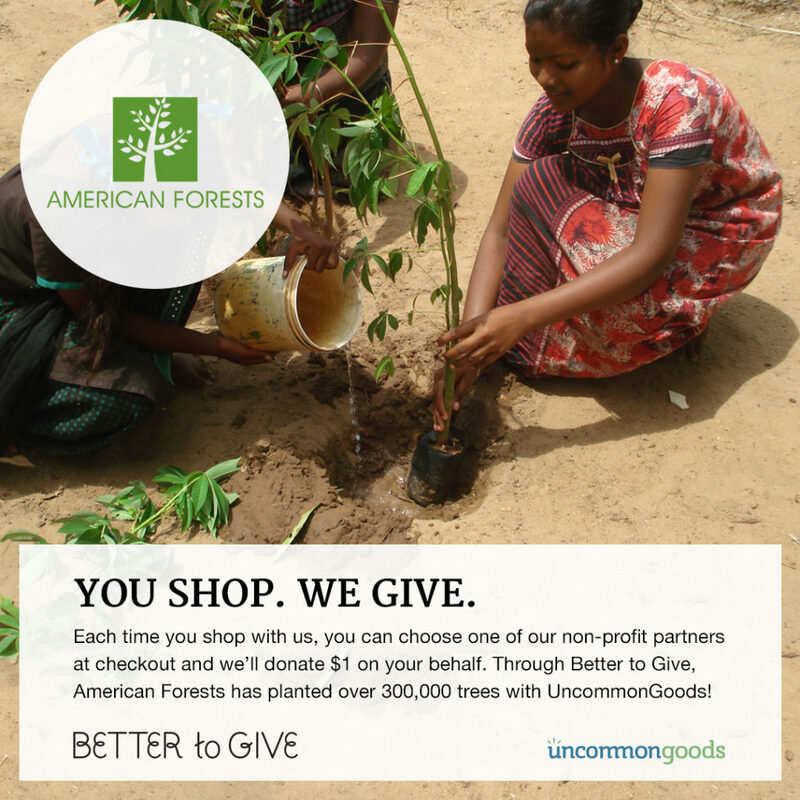 The Better to Give program from Uncommon Goods is wonderful, I love to see companies giving back! Thanks! It is a really great program! Awesome, so happy you found some inspiration from my ideas! Thank you! The console table is one of my favorite DIY furniture pieces! So many awesome ideas I don’t know what to pick first! I particularly adore those tree stump stools! So cute! And those moss squares too! Thanks! The stools are amazing! Everything you chose is completely perfect with your style. I couldn’t love it all more. Those tree trunk stools are adorable! The console table is great- my fav! Thanks! It is one of my favorite furniture pieces I have made! These are some wonderful tips! And I love all the decor, you have a great eye! Thank you so much Jillian! I have a lot of fun decorating my home! I love the wood picture frames and console table! Shopping and helping out is a great combination! 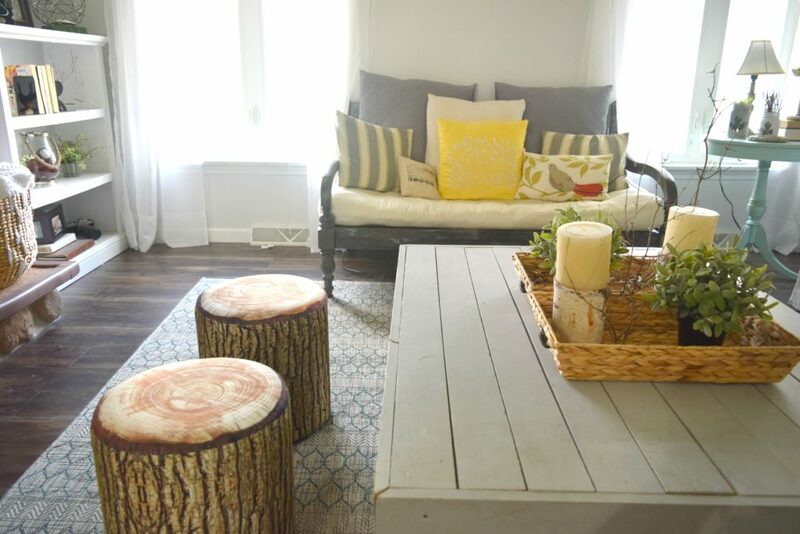 My boys would go nuts for those tree trunk stools! They’d be moving them all over the house I’m sure. 🙂 I love the paper flowers the most. Thank for your inspirations. Love all your ideas, specially the one with books, fruits in a jar and the little trunk. I have a simple stick I found on a walk with my dogs (really to say, my dog found it) and I have it on the top of a small cabinet. Love it! Awesome! I love adding those little touches to my home! Great tips! I love using more natural elements in my home decor – always adds such a great texture and feel to the room. It does add great texture to a home, great way of describing it! I’m jonesing after that blue glass lamp on your entryway table! I love when natural elements are used in home decor, looks warm and inviting! I love the whole look and aesthetic. Some beautiful pieces here. I love looking at your posts. I love the earthy beauty you bring into your space. It has a very relaxing vibe. Thank you so much Michelle! That is exactly what I am going for, relaxing! I have a lot of fun decorating my home. I am loving all of these different ideas. 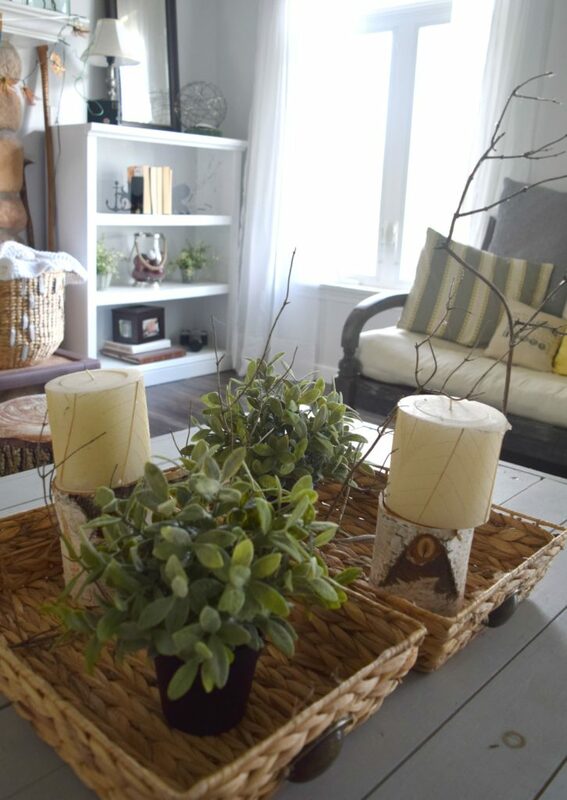 Decorating with nature is always fun because the possibilities are endless and it brings a more rustic look inside. Love it! So true, it is very easy to come up with some additions for a home. I am pleasantly surprised at all the colour…these all look great. Thanks! Using natural elements does not mean they have to be neutral! 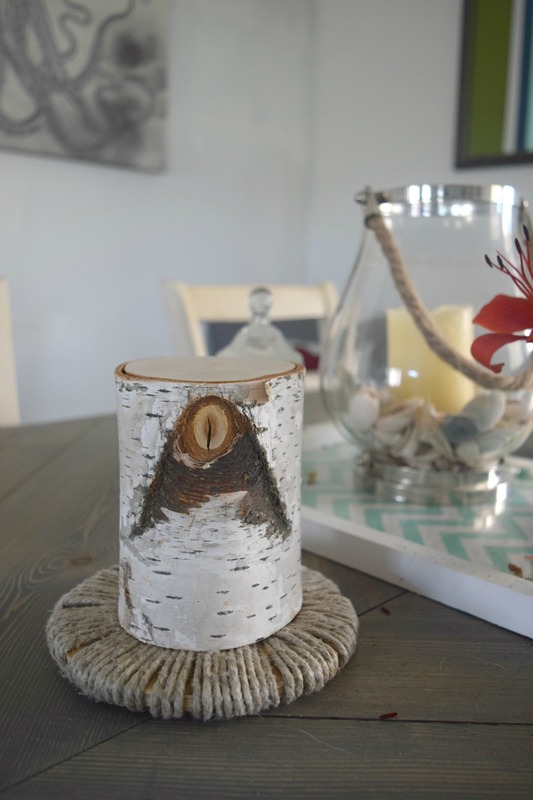 Love the natural touches in your home, and the giving back. Great job, love bringing the outdoors in. Everything looks great! What a beautiful home deco! Love all your natural decor items especially those tree stumps. I never heard of Uncommon Goods before. I’m definitely going to check them out. Awesome! They are a great brand with a ton of beautiful home decor! Loving these – and this proves it doesn’t always cost a fortune to decorate. So true! I hope to prove that a lot with my decor and blog! Great inspiration, Emily! Nature is my favorite to use in design! Those would be awesome stools! So many great ideas! 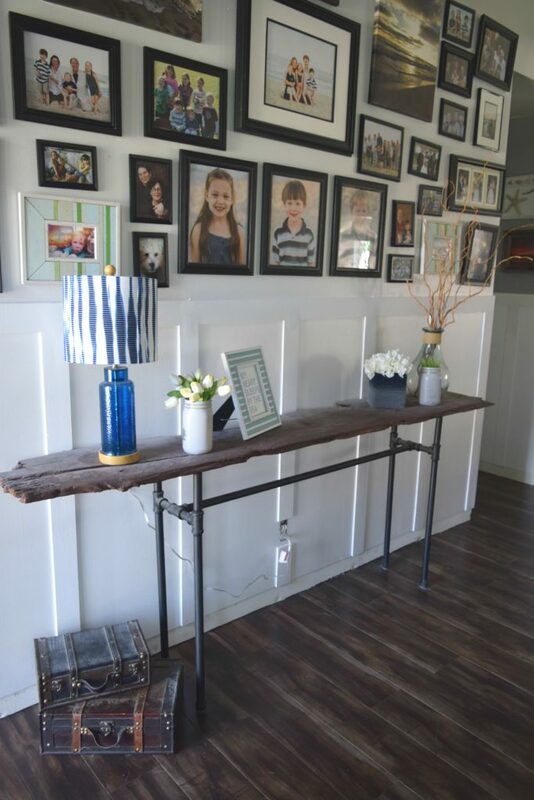 I absolutely LOVE the rough barn wood entry table. Gorgeous! So many great ideas! I love using nature in decorating. I especially like those rustic picture frames you made. I’m sure the log stools would be a huge hit with my boys! I absolutely ADORE all of your projects. I am a natural element kind of gal, too. I do use faux florals bc of cats in our home, but I find if I can add some natural elements like branches and twigs and moss, etc, they don’t look so “faux.” Thanks for sharing all your pretties. Those tree trunk stools are awesome! How fun. I love decorating with natural elements. You have so many great ideas I can’t wait to use! These are gorgeous pieces. I want them all. Adding nature elements to your home does change the look of your home. I love this idea and I am going to add more nature elements. I love love love it all. Great choices and everything goes perfectly in your home. PInning! I am in love with those faux wood stools & it looks like your kids do as well! So cool! Love the shell wall. I’ve been looking for a way to incorporate our shell collection into our decor! Great ideas! Those stools are precious.